If you are considering an ideal retirement destination abroad, then it would also be better to check out the overall economic status of that particular area. It may not necessarily be of the entire country in general, but just the immediate area of where you are trying to relocate. Make sure that you relocate somewhere that has a vibrant economic activity. This will at least assure you that you will be getting access to the basic necessities. It will also provide you with part-time job opportunities if you decide to take one just in case. Relocating to an area with a good economic landscape will help you enjoy your retirement more and not worrying about a lot of other things you need for day to day. When choosing an ideal retirement destination, it also helps to choose one that will help you save up on your expenses. There are locations that offer a more affordable standard of living for retirees. 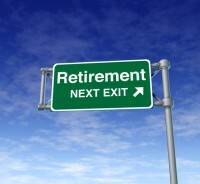 This can help in trying to prolong the funds that you have allocated for your retirement. The less you can spend on daily expenses at a certain place, the better. But of course, you should also consider this with other factors such as accessibility to health institutions and the like. A retiree still needs to become active and should not merely spend the whole day inside a room. Doing so can make you become bored and sad about retirement pretty quickly. You need to fill your day with activities and having people to talk to and interact with is also important. An ideal retirement destination can also be one where you can socialize with other fellow retirees. A place where you can interact and communicate with other people is a good place to spend your retirement. It can help make your retirement years more interesting and fun once you have some other people in the neighborhood to spend it with.